The Lord Of The Rings Trilogy - For three wonderful years in the 2000s, Christmas was a very special time indeed. Because with the festive season came a truly incredible cinematic experience. Okay, so not everyone has a tolerance for Tolkien, but you don't have to know a whole lot about Middle-Earth to recognise Peter Jackson's pictures as bona fide movie masterpieces. Jackson's adaptation of The Hobbit - part one of which is due this December - simply can't come quickly enough. The Princess Bride - When William Goldman asked his daughters what he should write about, they said 'princesses and brides'. But rather than conjuring up a simple children's story, the Oscar-winning screenwriter created a tale that's equal parts actio-packed swashbuckler and sophisticated comedy. Everyone has their favourite character, but Blokely's particularly fond of Mandy Patinkin's chivalrous Latin swordsman - "Hello. My name is Inigo Montoya. You killed my father. Prepare to die. Reign Of Fire - While there are plenty of movies about dragons, few of them are actually any good. Rob Bowman's movie stands apart from dross like Eragon since i) the over-sized lizards look excellent, ii) the 'Future Earth' setting is superbly realised, and iii) Matthew McConaughey makes up for the rest of his career with one of the best headbutts in the history of film. Seriously, it's even superior to the one Shatner gives himself in Star Trek VI. The Wizard Of Oz - If the literary types are to be believed, The Wizard Of Oz is actually an allegory for America's economic recovery from the Great Depression of the 1920s and '30s. This may well be the case, however, the story's political content pales next to the impossibly catchy songs with their awesomely awful lyrics ("I'm sure I could show my prowess/be a lion not a mouse"), the hordes of Munchkins and flying monkeys and Bert Lahr's cracking Cowardly Lion ("Put 'em up, put 'em up!")." Spirited Away - While Disney rested on it laurels in the '90s and '00s, across the Pacific Studio Ghibli turned out a raft of animated features that were more magical and imaginative than anything the House of the Mouse had created since Uncle Walt went to the great freezer compartment in the sky. While Spirited Away was the picture that put both Ghibli and director Hayao Miyazaki on the international map, you should also make time for Howl's Moving Castle, Porco Rosso and Princess Mononoke. King Kong - Not the well-intentioned but overblown Peter Jackson remake but the Merian C Cooper-Ernest B Schoedsack original that had audiences picking their jaws up off the floor. Sure, the effects and the acting haven't aged terribly well, but the truly incredible thing about Kong is that, though the story has the aura of something from ancient myth, it was acutally conjured up in 1932 by five screenwriters. Effects don't come more special than that. Time Bandits - Had he worked more regularly, Terry Gilliam could have taken up the majority of places on his list. As it is, Brazil and The Fisher King were both up for consideration. It's hard to top Time Bandits, though, what with its ripping yarn - dwarves travel through time looking for things to nick - its great villain (David Warner's Evil Genius) and its brace of cameos from Sean Connery as King Agamemnon and John Cleese as an impossibly polite Robin Hood. 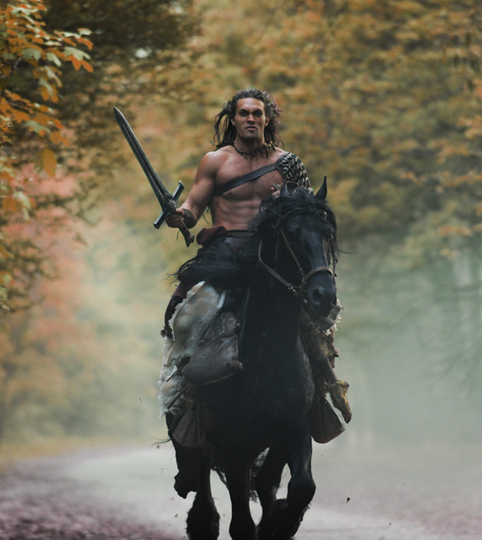 How could we overlook the Conan remake? Quite easily as it happens. Conan The Barbarian - He'd already played Hercules, but it was Robert E Howard's strongman that made Arnold Schwarzenegger the most unlikely of household names. Since all he has to do is flex his muscles and fight, Conan didn't place huge acting demands on Arnie, which is probably for the best. And by surrounding him with performers like James Earl Jones and Max Von Sydow (him again), director John Milius made his leading man seem far more capable than he was at this point in his career. Flash Gordon - You can say it's a science-fiction film and you wouldn't be wrong. But as the line between the genres often blurs, so Mike Hodges' everything-including-the-kitchen-sink extravaganza has a distinct fantasy feel to it. Maybe it's down to Brian Blessed and his hawkmen ("GORDON'S ALIVE!") or Timothy Dalton and his tree people. Or perhaps it's because Max Von Sydow's Ming the Merciless goes everywhere with a dwarf companion. Either way, Flash and friends don't look out of place here. Krull - Bullitt director Peter Yates had huge hopes for Krull, hopes that were cruelly (Krull-ly?) dealt a blow when the film came out the same year as Return Of The Jedi. While it wasn't the massive success Columbia Pictures were hoping for, there's plenty to enjoy about this tale of space pirates and kidnapped princesses. As for the cast it comprises a superb star-in-wating (Liam Neeson) and top British TV favourites (Robbie Coltrane, Bernard 'Carry On' Bresslaw, Todd 'Tucker Jenkins' Carty).